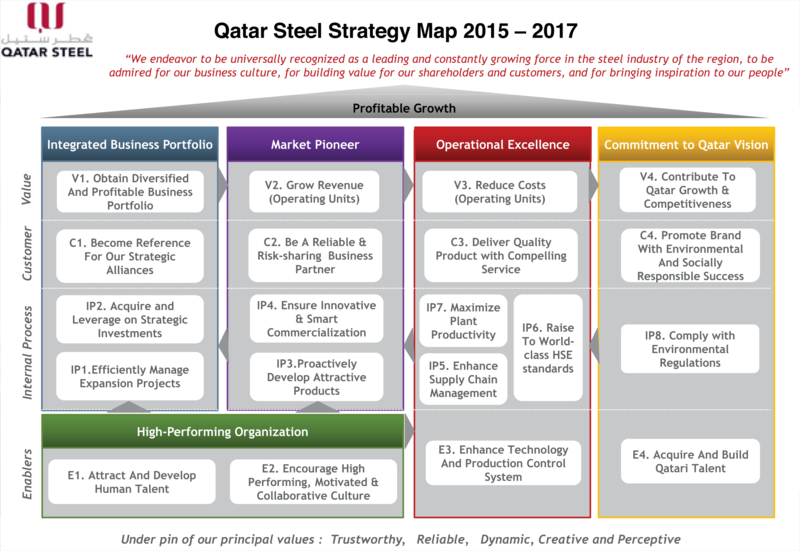 Qatar Steel’s Strategy Map is integral to the continued success of our business. Greatly influenced by its sustainability management approach, Qatar Steel’s Strategy Map provides a holistic approach to business management, as it consists of key priorities, identified through consultation with internal and external stakeholders. These priorities are further dissected into key performance indicators, which are in turn monitored and measured in balanced scorecards and regularly reviewed at all levels of our organization from the employee to the corporate level.